An Arizona company voluntarily recalled more than 6.5 million pounds of beef that could be contaminated with salmonella, federal officials announced Thursday. An investigation traced products, including ground beef and beef patties to JBS Tolleson, Inc., a meat packing plant west of Phoenix. 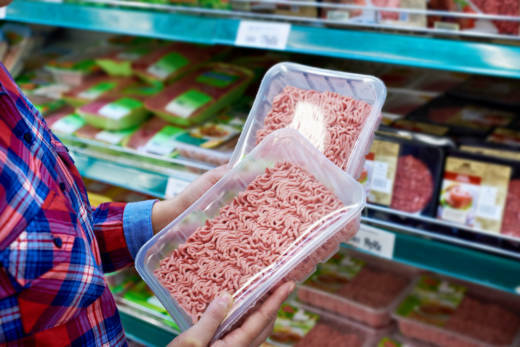 The raw beef was packed between July 26 and Sept. 7 and shipped to retailers nationwide, including Walmart, according to the U.S. Department of Agriculture’s Food Safety and Inspection Service. An epidemiological investigation found 57 people in 16 states have become ill so far. That includes 15 cases in Arizona, the state’s health officials said. The recalled beef is marked with “EST.267” on the packaging. Officials say people should check their freezers for any of the meat, and either throw it out or return it to where it was purchased. Most people recover from salmonellosis without treatment, health officials say. Common symptoms include diarrhea, abdominal cramps and fever that could last up to a week.